For some time now our youngest daughter has been telling me I need a new Bible. In her words mine is “too crusty”. 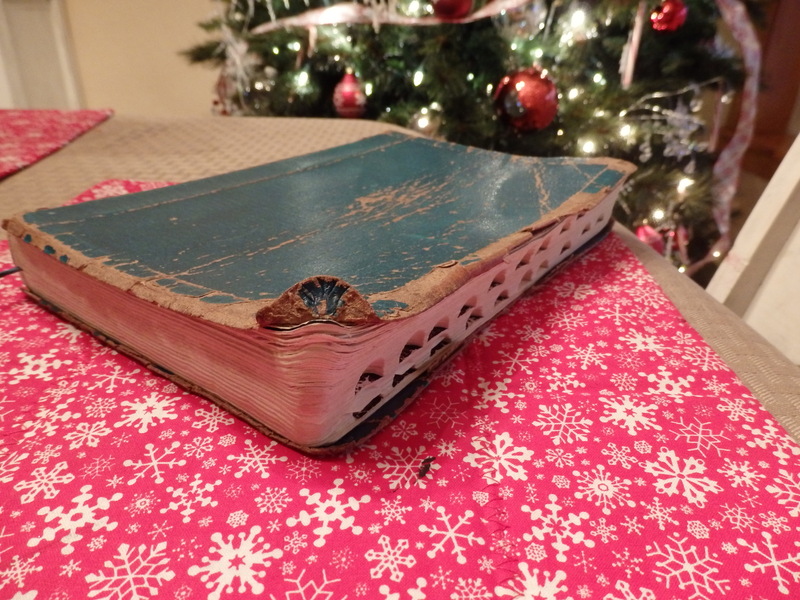 A new Bible was my special gift from my husband and children this year. 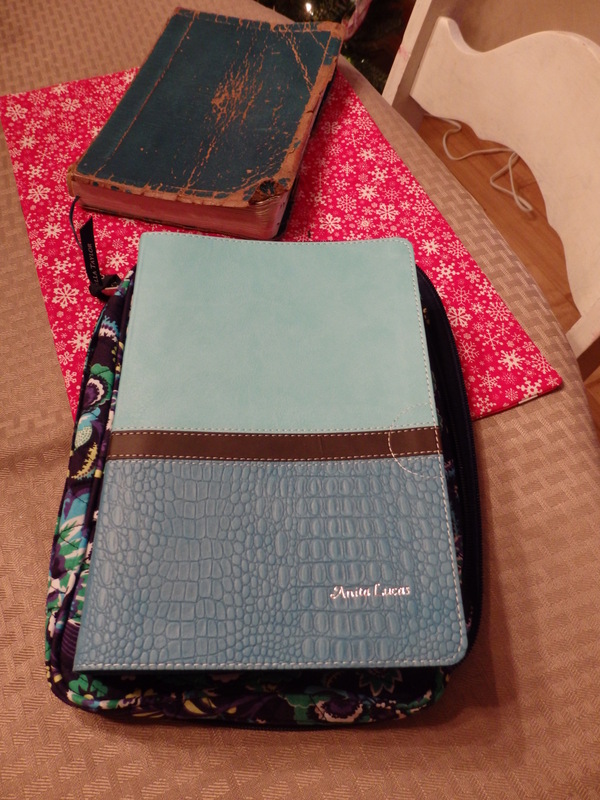 They got me a study Bible because they thought it would be helpful in teaching Sunday school. The gift and the wonderful thought my family put into it will be something I will always cherish! What is of the greatest value to me is the fact that she thought my Bible was too worn. This got me to thinking about what do I really want to leave behind when God calls me home. Do I want to be shiny and new possessing a shiny new Bible? Do I want to have riches and material things stored up? Here is a list of what I truly want to leave behind someday. What would your list consist of? As a mother what do I want to leave behind for my children? I want to leave behind worn out Bibles from hours spent seeking God’s wisdom in how to raise them and how to live. I want to leave behind worn out knees from hours of praying for guidance, for protection, for my family, and the world we live in. I want to leave behind worn out hands from a life spent serving others. I want to leave behind a worn out back from helping others carry their burdens and giving them to God. I want to leave behind worn out feet from working and never being idle. I want to leave behind a worn out heart from loving, empathizing, and having compassion for all others. I want to leave behind worn out vocal cords from singing God’s praise. I want to leave behind a life well spent and lived to the fullest. I want to bring the only thing that I can bring when I die and that is friends and family my life has helped lead to Jesus.